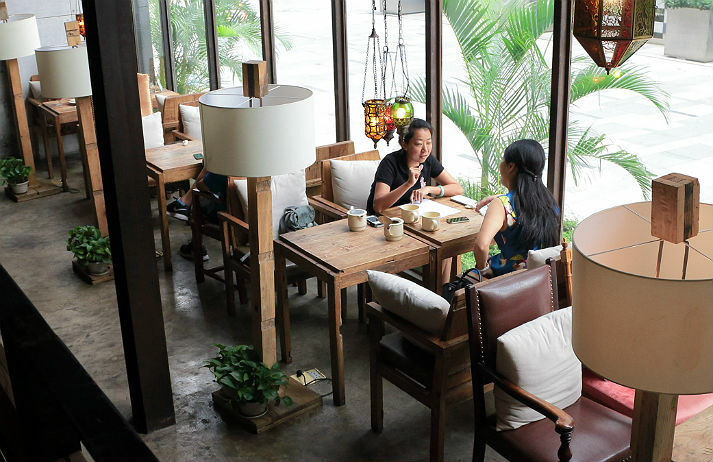 Coffee culture is warming up in China – in 2014 it was estimated to be worth $1.9 million, forecast to grow another 14% by 2016. And hot on the heels of global giants like Starbucks and Costa Coffee, Korean brand Maan Coffee is grinding out its own niche in the marketplace. After a health and safety scare, KFC sales in China fell by 29% in just one month. Now, in an attempt to gain some of their original traction back, KFC outlets in China are being transformed into Starbucks-esque venues that encourage customers to relax and hang out. Cafés are the perfect blend of home and work, but there's often pressure to buy more coffee or get out. Enter Russian 'anti-café' Ziferblat, where it's impossible to outstay your welcome.